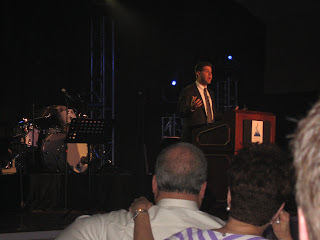 I had the opportunity to be the keynote speaker at a major fundraiser for the TSA in St. Louis on September 8th. With 600 people attending I shared my story reminding people about the Power of ONE and how they can be that person who makes a difference in the life of another person. I also reminded them that we need for people to think positive and focus on others’ strengths, and not their weaknesses. The event raised over $400,000……not too bad for a first year event. Kudos to Myrna Myer and her committee who had a heck of an event. 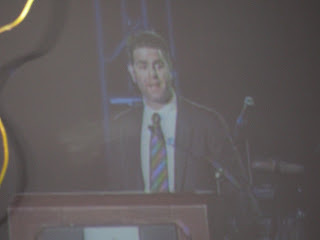 The press for the event was great. Kudos to everyone who helped make that event top notch! You are currently browsing the Class Performance blog archives for September, 2007.